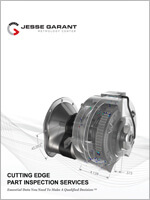 Jesse Garant Metrology Center is the nondestructive testing lab manufacturers trust for accurate inspection of electronic and electrical parts and components. With a full suite of advanced imaging capabilities, we provide critical inspection data for all stages of electronics manufacturing. We have the greatest diversity of industrial computed tomography systems in North America, including an exclusive high-energy CT system for rapid inspection of larger high power electronic components. We’re also equipped with radiographic testing and 3D scanning systems for even more testing options. With multiple NDT systems, we can inspect a wide array of complex electronic and electrical parts of range of sizes, shapes, and metal and nonmetal materials. These include large wet/dry batteries, ceramic insulators, and high voltage connectors, as well as smaller components like PCBs, BGAs and silicon semiconductors. Reliable and timely inspection is the cornerstone of our company, so we ensure a customized, efficient process for each and every project, from design and pre-production to lot inspection. For internal nondestructive testing of first run electronic parts and assemblies, our industrial CT services provide measurement of complex geometries and validation of fit and function. This is particularly useful for epoxy or over molded circuits that need to be water or moisture resistant. We ensure the consistency of part dimensions, providing critical metrology data for satisfying First Article Inspection reporting requirements. Our offline production inspection services streamline full validation of parts at specified intervals to confirm they’re manufactured to quality standards before reaching their destination. Industrial CT can thus verify that production processes are operating optimally, saving time and costs. X-ray validation is also available at this stage. We provide high volume part sorting of electronics using industrial x-ray. Our inspection services take the guesswork out of quarantined, warranty, and recalled parts, serving as valuable quality control for sorting parts with faulty components like failed batteries or out of location solder. Industrial CT is another option for high value lower volume lot inspection. 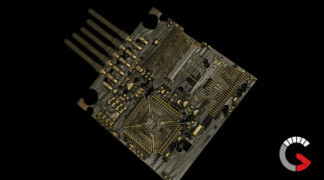 As an x-ray NDT technology, industrial computed tomography can reveal internal defects in multi-material electronic parts in great detail. CT serves as the go-to method for conducting failure analysis of electronics since it preserves original part conditions without destructive testing. Our CT systems can reveal internal defects like voids, porosities, inclusions, foreign debris, broken leads, and misalignments that can lead to part failure.